Beit Hatfutsot planned a new Core Exhibition, which will take visitors on a fascinating journey of discovery and exploration of the unique and ongoing story of the Jewish people. The Synagogue Hall displays Hallelujah! 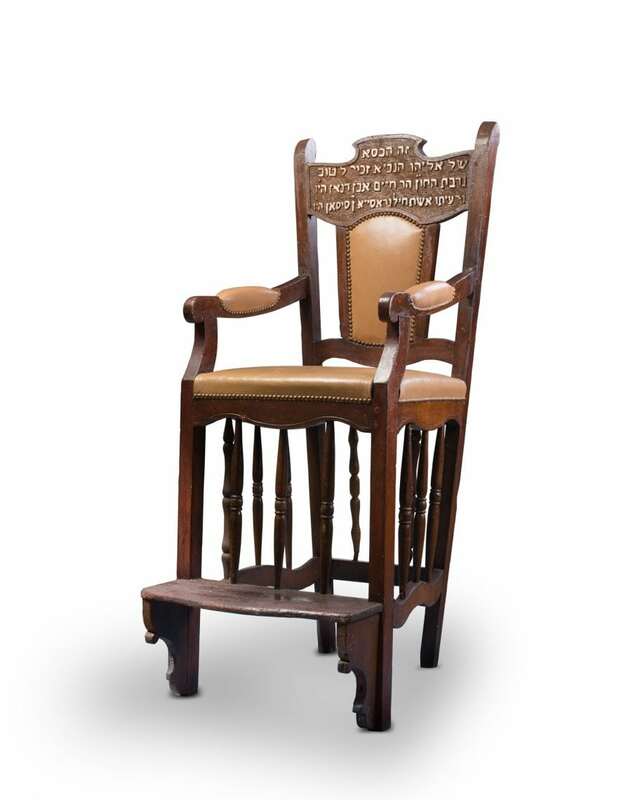 Assemble, Pray, Study –Synagogues Past and Present. 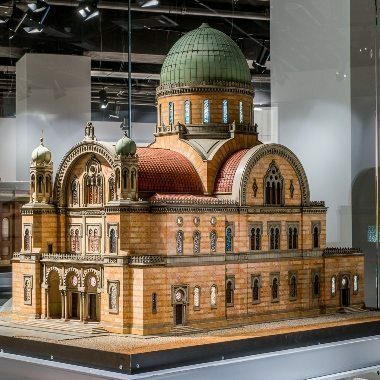 A new spectacular exhibition based on the famous collection of Beit Hatfutso’s synagogue models. 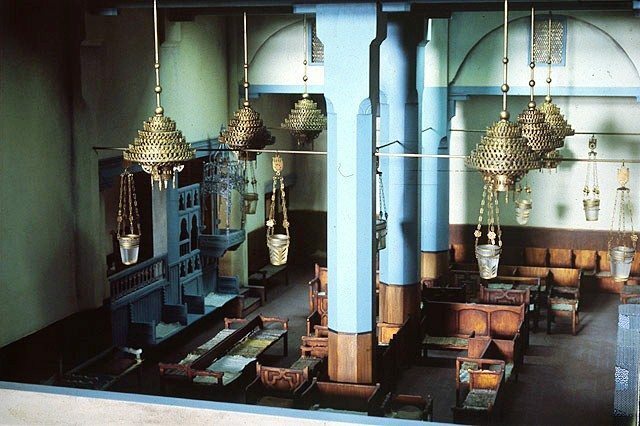 The exhibition showcases 21 models representing various communities and Jewish life relating to the synagogue: social gatherings, study, creativity and prayer, as well as weddings, Bar/Bat Mitzvahs, fundraising, charity, etc. Alongside each model an original ritual artifact, either from the synagogue or its respective community, is on display. Through these items the visitor’s experience is enriched expanding on the understanding of the cultural and artistic identity of each specific community. 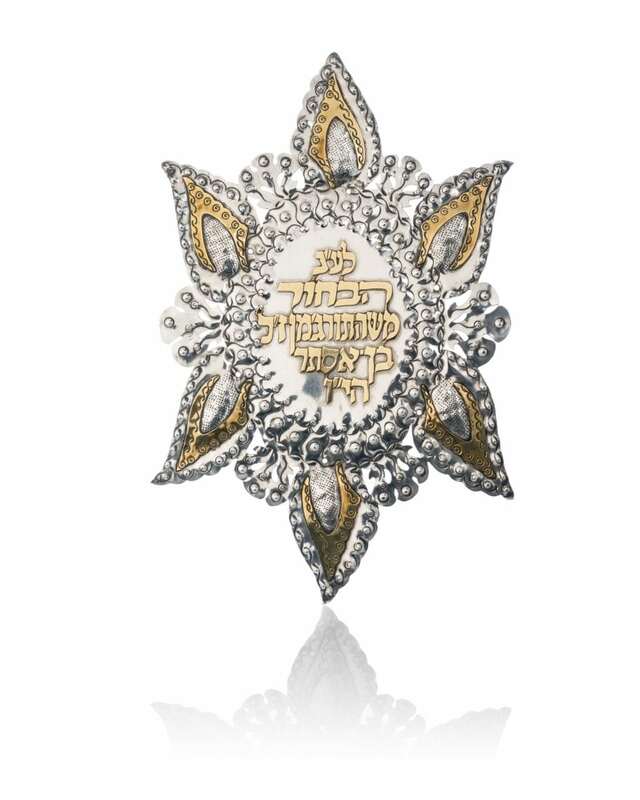 The artifacts include historical Judaica, prayer books, publications, as well as an impressive stained glass window created in Germany in 1919 by the artist Friedrich Adler. The exhibition also includes films, video art, and interactive activities for adults and children alike.